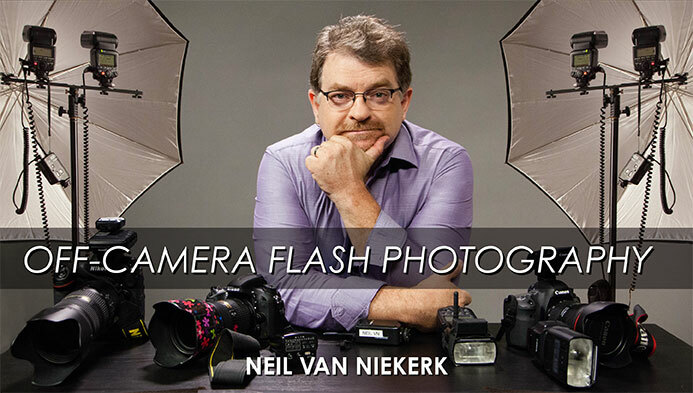 My Favorite online Photo Class of the Year-----Was Neil van Niekirk's Off Camera Flash Course. It's at Craftsy.com. I've spent a lot of time watching other photographer's videos on various online channels and the one that I enjoyed best of all the stuff out there this year was Neil's Off Camera Flash Photography course at Craftsy.com. Neil covers all the important bases and does so while showing some really good images. He demystifies daylight+flash and he will make you believe that you can do just about anything with a handful of battery powered strobes and a well chosen selection of flash modifiers. If you are snowed in, snowed over or just over the snow you could do a heck of a lot worse, as either a professional photographer (who might need a bit of brush up or inspiration) or a happy amateur (who wants to take the uncertainty out of getting the flash off the camera and using it well), by taking this 2+ hour course. Let me put it this way, I wrote a whole book about this stuff in 2007 but the refresher I got from Neil's course made it seem fluid and fun again. Here's a link: Neil's Course. And remember, Craftsy.com has a 100% satisfaction guarantee (which I doubt you'll be using...). See Neil's commercial website here. I also included Neil's images and some of his working methodology in my 2012 LED lighting book. He's good. Nice way to combat cabin fever.